Finding a severed hand at a client's house might throw lesser decorators off their games. But Chloe Carstairs and her mother, Amanda, won't let a little thing like murder keep them from decking the halls. 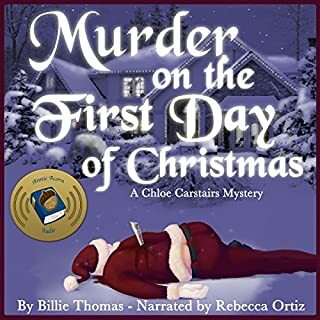 With a body under the partridge's pear tree and a dead Santa in a sleigh, they have to crack the case before the killer strikes again - this time much too close to home. Rachel Goldman writes mysteries in which Duffy Madison, consultant to the county prosecutor's office, helps find missing persons. Rachel is busy working on her next book when a man calls out of the blue asking for help in a missing person case. The caller's name? Duffy Madison. Is this real, or has she lost her mind? She doesn't have much time to find out, because a serial killer is on the loose, kidnapping and murdering mystery authors. And Rachel may just be the next target. As good as 'The Haunted Guesthouse' series. Pippa Winterbourne runs Moorehaven, the Oregon Coast's quirkiest bed-and-breakfast and former home of world-famous mystery writer A. Raymond Moore. Guests come there to write their own crime novels. When a real-life murder takes a local's life and washes a handsome boat pilot into her arms, Pippa is yanked into a deadly plot of her own. 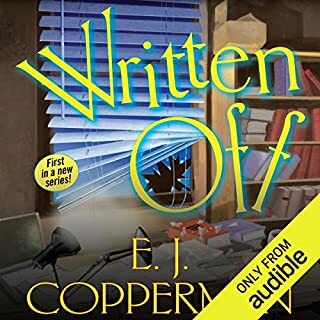 A tangle of secrets crashes past into present, and Pippa must uncover clues dating back to Seacrest's Prohibition days, including a secret Moore himself hid from the world. 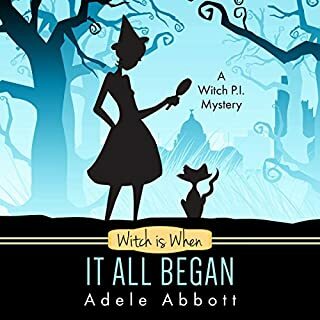 Juggling her book-writing guests, small-town intrigues, secret club agendas, and a possibly fatal attraction, Pippa must sort fact from fiction to know who to trust before a desperate killer claims a final revenge nearly a century in the making. When I read the summary, I was intrigued by the idea of a bed and breakfast that catered strictly to an author clientele. And I think that idea made for a good spin on the basic small-town cozy mystery. 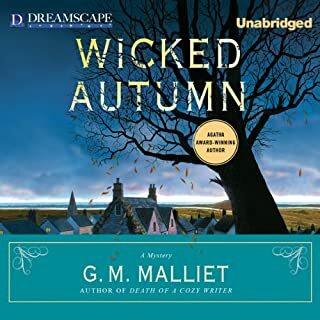 I'll start with the narration because that can make or break an audiobook and, for this story, it almost broke it for me. Pippa and Blake were okay, but aside from those two characters, I found the narration of this novel to be barely tolerable. Ms. Cee's choices took characters that toed the line of cookie-cutter and turned them into full-blown caricatures, particularly when it concerned the authors. But none were so bad as the murderer, who had a completely different cadence and tone than when we first met him. Once I finished the novel, I had to step back from the book for a few days so that the narration didn't color my review of the actual story, that's how bad it was. Setting aside the narrator, the story itself was solid, though not without its flaws. 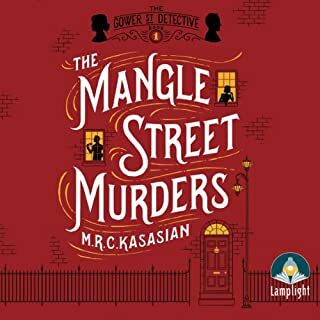 It took some time to get to the meat of the story, but the mystery was interesting and the characters were quirky, which helped keep things light and humorous. And I still love the authors-only inn idea. There's so much that can be done with a rotating cast of mystery and suspense authors that I'm definitely interested in future installments. However, my biggest critique would be that I hope that future installments rely a little less on some of the more overused tropes, like the exposition ending we received. That just took all the tension out of the moment for me. I was given this free review copy audiobook at my request and have voluntarily left this review. Frankly, though, I wish I had read this novel instead of listening to it. I feel the audiobook version cheated me out of a pleasant, fun experience. 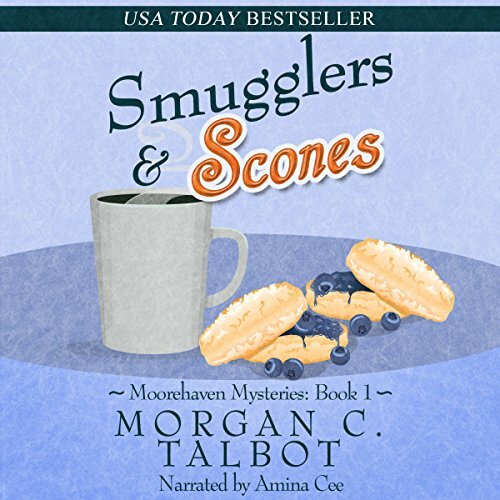 Smugglers and Scones is filled with eccentric characters, silly dialog and a mystery. I had a hard time getting into this book, I found it silly and unbelievable. Pippa, who is running a B&amp;B for mystery writers, seems like a teenager with a crush on the guy she rescued. She is obsessed with her bunny slippers, the cats and kissing Lake. Although there is a mystery here, it takes a while to develop. There a quirky characters galore, that are just as silly as Pippa. The fictional novelist, Raymond Moore, whom the B&amp;B is named after, has quotes that are sprinkled throughout the book are quite interesting. Amina Cee does a fine job narrating, distinguishing each character. I received a copy of this audiobook free in exchange for honest reviews. This is an OK book but it has flaws. The mystery part of the story is not bad, but, it's ruined with the bizarre and silly crush Pippa has on Blake. This really hurts the story because it makes Pippa appear to be a teenager. The other characters are flat and stereotypical and the dialogue between the characters is awkward at times. Hopefully the second book in this series will fix the things that went wrong in this book. I received a free copy from the author in exchange for a honest and unbiased review. This book was different than I expected. 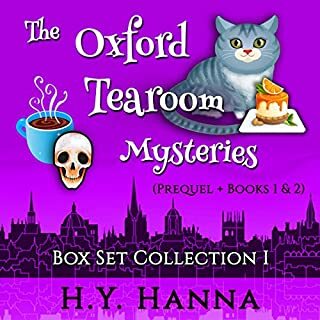 I have listened to quite some cozy mysteries, and that made me expect something else. This is not the typical cozy mystery. The setting is a coastal village, and the main character is a girl working on a bed &amp; breakfast whose unique clientele are writers. Although it seemed a bit unrealistic that a B&amp;B could survive solely on hosting authors, it was an original and interesting setting. What failed for me here was character development. Even the main characters were one-dimensional and cliches, which made me care nothing for them. The dialogs felt forced at times, and the secondary characters felt totally interchangeable. I was unable to feel the tension and urgency of the mystery. Usually when listening to cozy mysteries, I’m on the edge of my seat looking forward to what’s next. This didn’t happen here for me, and I also missed the duality between legitime and ilegitime investigation. There was prescindible romance, as in any cozy mystery, which I don’t generally care for, but this time I even cared less due to the poor character development. Amina Cee’s narration was quite good, but some of the characters sounded exactly the same. I think it was a difficult one to narrate, since the characters had nothing remarkable to make them different from others. Cee’s did great transmitting the character’s emotions’ though, and I think it was a good narration in general terms. I received a copy of this book in audio format from the author in exchange for an honest review. I wish I knew Raymond! I enjoyed the cast of characters in this book. Pippa owns a bed and breakfast of sorts where only authors can stay. They come to write and find inspiration. There was a well rounded bunch with the authors, Pippa, the uncle, Lake & the other town folk. My favorite character however was Raymond who wasn't really a tie "character" (since he's not alive), but we hear his quotes before each chapter and he quickly became the most lovable of them all. My one qualm is with Pippa. She acted like such an annoying schoolgirl with Lake and it irked me the whole time. Even when she was facing certain death her priority was "kissing Lake." It felt really silly. She so obsessed and acted like a teenager. So that aspect I wasn't a fan of, but it's my only one complaint. Otherwise it's a fun story, a fun cast & an interesting murder to solve! I received this book in exchange for my honest review. What I liked about the book? I loved the atmosphere way more than I initially thought I would. I’m normally more of a gritty mystery reader, so I wasn’t quite sure how I would react to this one. I pleasantly surprised. Morgan C. Talbot made Moorehaven seem like a place I’d want to visit. The bed-and-breakfast on the coast of Oregon was previously the home of mystery writer A. Raymond Moore and currently caters to experienced and aspiring crime novelists. 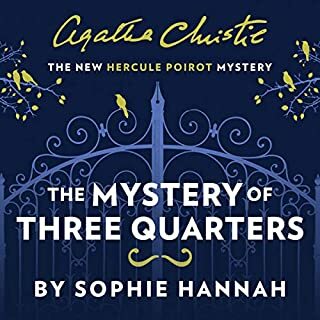 Just learning more about Moorehaven and the town surrounding it made me feel cozy and intrigued and the Poirot references definitely clinched it for me early. Secondly, the characters, major and minor, sucked me in. 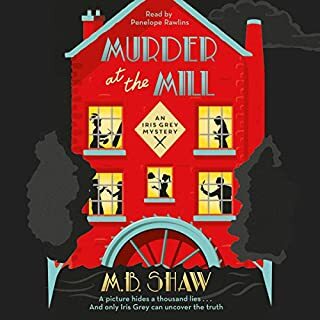 First off, Moorehaven is run by Pippa Winterbourne who, in the middle of dealing with these writers and their crazy research in town and doing her job, gets caught up in a real murder with a connected mystery that dates back to the Prohibition era. As you can imagine, a business full of crime writers on a daily basis would beyond interesting and the author illustrates that well. At one point, Pippa references how, because of the writers she works with, she knows multiples ways to kill someone. The way each character is written, no matter how minor they might be, you can tell that attention was paid to each detail regarding each person. You can easily distinguish who is whom. Lastly and certainly not least, Amina Cee’s narration was absolutely fantastic. Her voice and the story were a perfect match. What I didn’t like about the book? The only thing I didn’t like was that Pippa was a little too nice sometimes in situations where she needed to maybe yell a little bit more, though based on where she works, she obviously has the patience of a saint and has built up a great deal of tolerance for crazy. 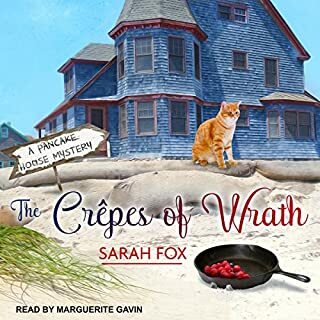 Pippa Winterbourne runs Moorehaven, the home of the late famous mystery writer A. Raymond Moore, as a B&B dedicated to allowing mystery writers to work on their books in Smugglers and Scones by Morgan C. Talbot. One night Pippa hears a loud crash, only to run outside to find a ship that has run into the rocks on the Oregon coast. Managing to save the life of the sailor on board by pulling him to safety with a life ring, Pippa takes the sailor, named Lake, back to Moorehaven to recover from his concussion. But the next morning, the police chief comes ready to arrest Lake because the divers discovered the body of Cecil, Lake's boss, owner of the fishing and touring ship, and he has been murdered with a blow to the head. But Pippa is determined to prevent Lake from getting arrested, certain he is innocent. 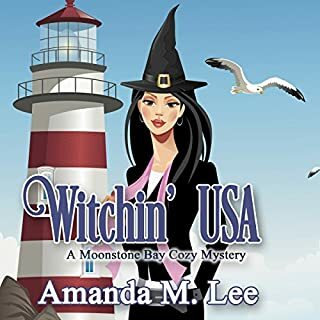 The writers at Moorehaven excitedly throw themselves into the real-life mystery as a chance to do research on how people react to various events and how real detectives act. So they team up with Pippa to investigate. The research quickly leads the investigators to look into events from the era of Prohibition and the speakeasy hidden below the town's only nightclub. Longtime rumors of a hidden treasure also resurface, gaining traction as reality. And in the meantime, Pippa finds herself drawn further to Lake, whose charm makes her all the more determined to find the truth. I came across this book by accident, and I am ever so glad I did. This book has such a creative plot and setting, and I loved the characters as well. The mystery plot took interesting twists and turns, and I found the details of their researching Prohibition to be fascinating. Besides the fantastic plot and setting, the characters really were lively. I loved the authors, each of whom has a very unique personality and reaction to the mystery. It is fun to see them seeking out personal experiences to make their books more realistic. I had to laugh when Al purposely picks a fight with the head of a motorcycle gang to see how the man would react, especially the way Al seems to have researched the various gangs in the area to figure out which group was least likely to kill him. I also enjoyed the way that the local women create a bond and also work together to support each other. In addition, I enjoyed the minor character of Chloe, a goth girl recently kicked out of college and doing an unpaid internship at Moorehaven with surprising, unexpected skills. One detail I really loved about this book is that each chapter is introduced by a supposed quote by Moore as if he were a real writer and not fictional. The quotes come across as amusing and full of fun quips that fit with the chapter. What makes the quotes seem even more legitimate is the use of dates for each quote too. I enjoyed the performance of Amina Cee in the audio edition of this book. She uses great voices for each character that suit each one's unique personality. In addition, she uses effective inflections that create great depictions of the elements of the book. Smugglers and Scones turned out to be a creative, exciting book that I greatly loved listening to. I liked the details of the book and the fun humor that appears throughout the whole book. There is a lot of fun word play as well as creative details. I really hope that Talbot writes more books in this series because I already am deeply invested in the characters and setting after just one book. I give this book five stars! This is a great book with a wonderful story and well developed characters. The story flowed very well and was very enjoyable. This book will keep you reading long into the night and you will not want to put this book down until you finish. This was such a great read and full of surprises. The narrator did a wonderful job with this book. She did a great job with the different voices of each character in this book. It was very easy to listen to and I didn’t want to stop listening until the end. If you are looking for a great book with well-developed characters then you need to listen to this book. I am looking forward to listening to the next book by this author and narrator. I liked the book very much. The storyline kept me guessing and changing my mind on the killer. 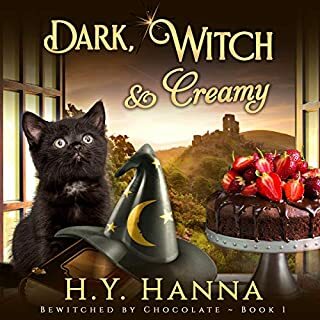 I think that the narrator did a good job but I didn’t rate 5 stars because I felt that her voice was just too young for the character. I would read another book by this author. I was provided this title for free in exchange for an unbiased review. 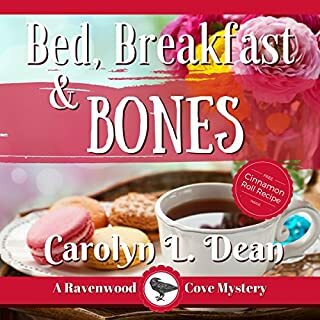 I love a good cozy mystery and how can you go wrong when there's a bed and breakfast that only caters to crime novelists! I hope to see more Moorehaven Mysteries.